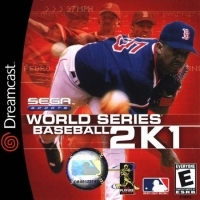 Description: World Series Baseball 2K1 features the actual players, teams, and stadiums of the 2000 baseball season. You can play an exhibition game or a season of 13-162 games, including an All-Star game and play-offs. 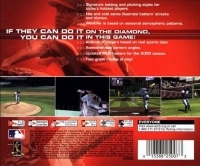 Box Text: IF THEY CAN DO IT ON THE DIAMOND, YOU CAN DO IT IN THIS GAME! * Signature batting and pitching styles for today's hottest players. * Hot and cold zones illustrate batters' streaks and slumps. * Weather is based on seasonal atmospheric patterns. * Abilities of players based on real sports data. * Awesome new camera angles. * Updated MLB rosters for the 2000 season. * Four great modes of play! 01-27-2016 lugnut Box Text IF THEY CAN DO IT ON THE DIAMOND, YOU CAN DO IT IN THIS GAME! * Signature batting and pitching styles for today's hottest players. * Hot and cold zones illustrate batters' streaks and slumps. * Weather is based on seasonal atmospheric patterns. * Abilities of players based on real sports data. * Awesome new camera angles. * Updated MLB rosters for the 2000 season. * Four great modes of play! 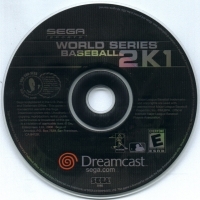 This is a list of VGCollect users who have World Series Baseball 2K1 in their Collection. This is a list of VGCollect users who have World Series Baseball 2K1 in their Sell List. This is a list of VGCollect users who have World Series Baseball 2K1 in their Wish List.